Ever since I was a child, I remember my parents always having ajwain within arm’s reach to help sooth stomach cramps of sorts. Whether it was simmered in water to drink as an herbal tea, or to chew a teaspoon of seeds for more potency and faster relief, it was for the most part a fail-safe natural remedy. I have to admit, I did not like chewing it because of its very strong bitter taste. But the fact was, it worked! As I became a teenager and started experiencing severe menstrual cramps, my mom would always make me ajwain tea, which she simmered with other medicinal herbs and spices, a touch of honey and a whole lot of love. It became a monthly ritual for many years. Now it’s just one of many beautiful memories of my mother who gave so much of herself and never expected anything in return. When you have children of your own, you start repeating some of the patterns of what your parents did when you were a child. You open up that treasure trove of experiential knowledge and transferred wisdom. Needless to say, as a mother I have always kept ajwain close at hand. In this article, I would like share a bit more about this incredible little seed whilst expanding my own knowledge. Ajwain (also known as carom seed) is a very tiny yet potent seed belonging to the Apiaceae herb family, and is closely related to caraway and cumin. (https://en.wikipedia.org/wiki/Apiaceae). It is thought to have originated in the Asia minor or Persia regions, from where it spread to the Indian subcontinent. The plant is a small, cool season annual herb which grows two to three feet tall. It features tiny white-petaled flowers in umbels that eventually develop into small, oval-shaped seeds that are ready to be harvested by the end of winter or early spring. The small fruits (often called seeds) are light brown and oval. It has a bitter and pungent taste and the flavour to some degree resembles that of oregano or anise. The fruits can be eaten raw but are most commonly dry-roasted or fried in ghee (clarified butter) to be used in many types of Indian savoury snacks, pastries and flatbreads. In traditional Ayurvedic medicine ajwain is used as a medicinal plant for stomach disorders such as flatulence and indigestion. Essential oil made from ajwain consists mainly of thymol, gamma-terpinene and p-cymene plus more than 20 other compounds. Because it has alcoholic qualities in a very mild form; it can be used as an instant stomach pain remedy. A bit of salt and ajwain with warm water is quite beneficial for indigestion and stomach pain. Ajwain is one of the best ways to treat gas, flatulence and indigestion. In fact, many Indian over the counter herbal remedies for stomach upset include ajwain and black rock salt as the two key ingredients. Due to ajwain’s anti-inflammatory and healing properties, expectant moms can safely use these potent seeds as a natural remedy for stomach ailments. These seeds are in fact well known for enhancing digestion, combating bowel problems as well as strengthening the muscles that comprise the floor of the uterus in pregnant women. Overall, ajwain is a very efficient treatment for abdominal discomfort due to indigestion. The thymol content also helps in relieving acidity by reducing the regurgitation of stomach acids. Tip: For diarrhea relief, simmer a tablespoon of ajwain in a small pot of water for 10 to 15 minutes until it reduces to about a cup of liquid. For chronic or recurrent colds, it is recommended to take fried seeds of ajwain in a dose of 2 grams for 15-20 days. Chewing ajwain seeds with lukewarm water is also a good cure for cough. Inhaling the steam of simmering ajwain acts as a bronchodilator and makes breathing easier. Tip: To help with minor respiratory problems, you can make an alternative for a nasal inhaler by taking some seeds in a handkerchief to create a bulb of ajwain. Rub this in your hands and press it against your nostril. Rubbing releases the essential oils from the seeds. Ajwain seeds can reduce excessive urination and thirst for people suffering from diabetes. Ajwain seeds mixed with honey and vinegar may help to dissolve kidney stones, which could ultimately be flushed out in the form of urine. Ajwain is known to have anti spasmodic qualities associated with the active chemical ingredient, thymol. It is used for relief from muscle spasms, cramps, rheumatism, arthritis and edema. The seeds are also thought to help relax the uterus and offer rest from menstrual cramps. Ajwain is not generally used for weight loss, but because it has digestion stimulating as well as laxative properties, it fastens the bowel movement, which in turn may help with weight loss. One drop of ajwain oil dropped into the ear can reduce serious ear pain. A toothache can be eased by gargling with water boiled with a teaspoon each of ajwain seeds and salt. Thymol is regarded as a powerful germicide, anti-spasmodic as well as fungicide. Due to these properties, oil of ajwain is sometimes utilized in herbal toothpaste and mouthwash. 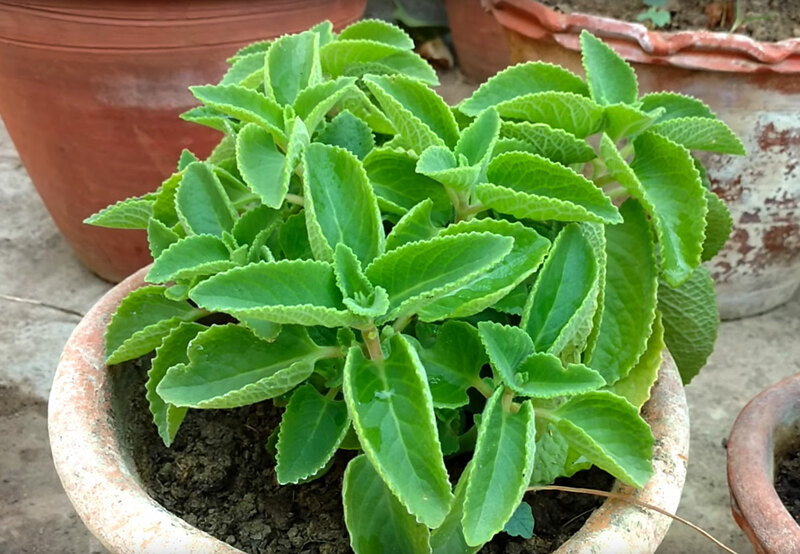 Ajwain leaves can also be crushed and applied on infections. Due to its anti-inflammatory and unaesthetic properties, ajwain may help with pain due to rheumatism and arthritis. It also contains powerful antibiotic compounds that help in soothing inflammation induced symptoms such as skin itching and redness. Application of powdered carom seeds or ajwain mixed with yogurt on the affected area is said to help lighten acne scars considerably. This is due to its anti-bacterial properties which helps to eradicate acne-causing bacteria. I am pretty sure that ajwain is wild celery seed, not carom. Can someone verify this, please. It’s not celery seed. If you compare the two, you will notice they are different.